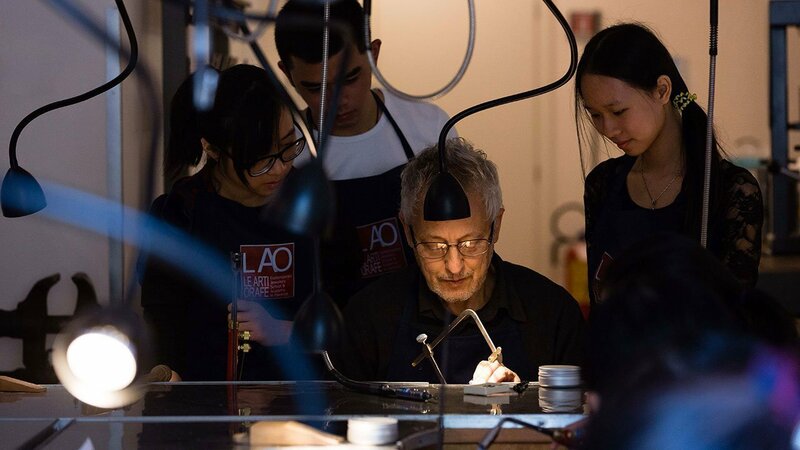 Founded in 1985 by Giò Carbone, LAO was the first Italian school dedicated to the study of jewellery and is unanimously recognised as one of the most prestigious European schools. LAO invented, developed and perfected a creative and personalised method of learning, concentrating on innovation and research. For more than 30 years the school has offered a wide range of long and short courses, emphasizing and promoting a learning process based on the acquisition of solid technical and professional skills combined with artistic research and design. The concept of jewellery has evolved in a surprising manner since the 1970s with the arrival of artists and jewellers who have conducted research into the creation of contemporary jewellery. The processes, materials, functions, significance and social use of jewellery have changed. Teaching and learning methods have changed, as have the tools and communication. Contemporary attitudes have also invaded the world of jewellery, which appeared old and “dusty”. LAO has contributed and is contributing in a defining manner to this constant evolution. LAO is a Training Agency accredited by the Tuscan Regional Authority and certified according to the ISO standards 9001, can offer recognised and financed courses in addition to participating in the main European programmes.